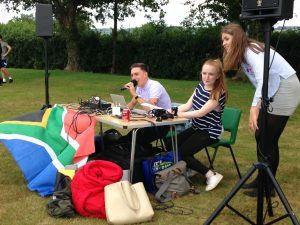 On 12th July, a team of year 12 Backwell School students organised a Silly Sports Day as a fundraising event for Za Foundation. 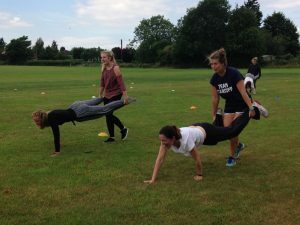 Races included egg and spoon, three-legged race, ‘dizzy’ racing, over and under (with a packet of crisps!) and a relay race. 6 teams took part including a teachers’ team and there were lots of spectators. 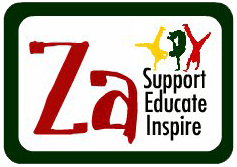 A huge thank you to the Za fundraising team, the students and staff who took part and everyone who donated to Za on the day. 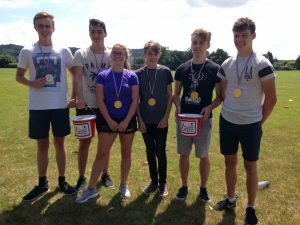 Here are a few photos including one of the winning team.